There are so many days of the week where I come home and just want to throw something together for dinner in under 20 minutes and call it a day. 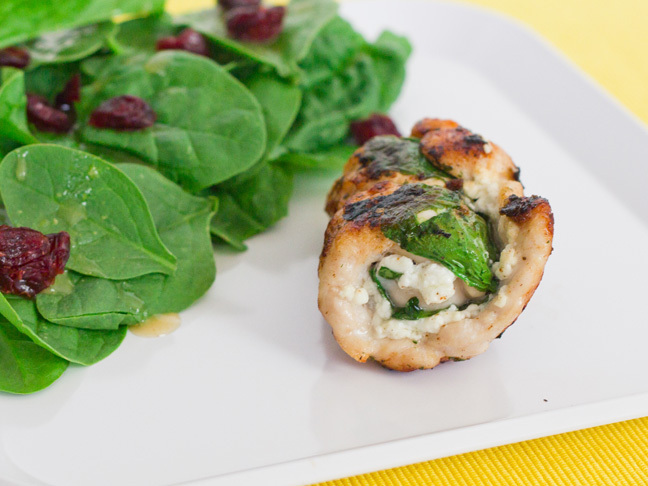 This Ranch chicken rolls recipe, with a perfect amount of spinach and goat cheese, does exactly that! A nice coating of Hidden Valley® Original Ranch® Dips Mix makes seasoning a breeze, and everything else comes together in a way that will impress your family and your dinner table guests. It’s perfect for a weeknight or a busy weekend! Step 1: Preheat the oven to 425 degrees. 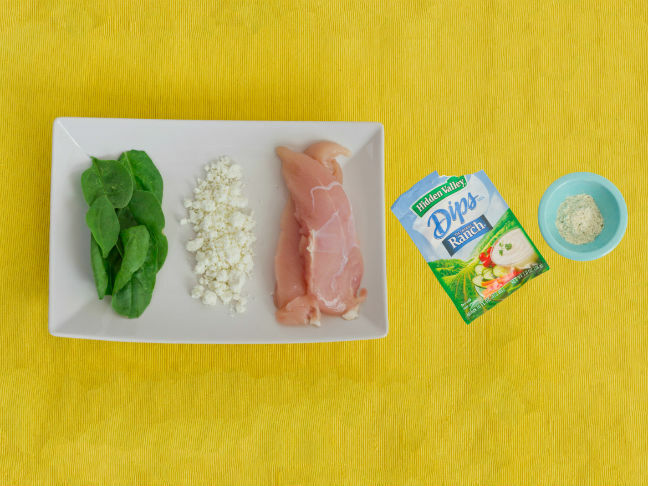 Prepare your ingredients by laying out your chicken, goat cheese, spinach and Hidden Valley® Original Ranch® Dips Mix. 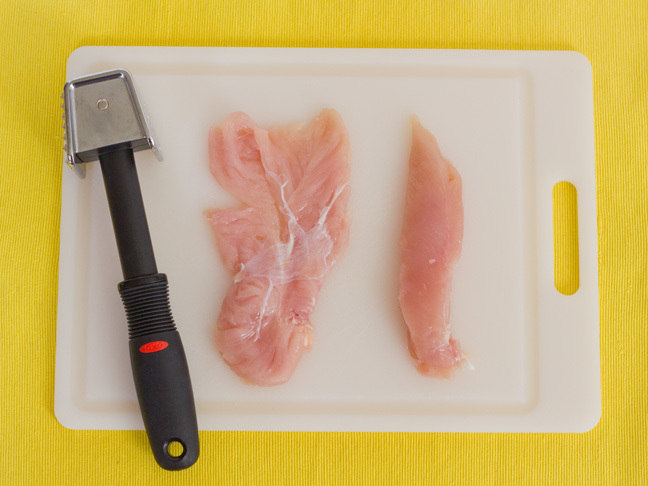 Step 2: Using a mallet, gently pound your chicken tender flat in preparation for rolling. 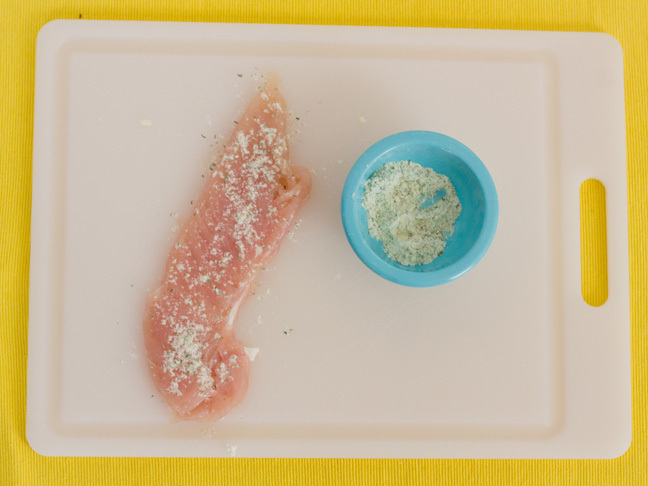 Step 3: Generously season one side of the chicken with Hidden Valley® Original Ranch® Dips Mix. Step 4: Flip the chicken over and cover with your goat cheese crumbles. 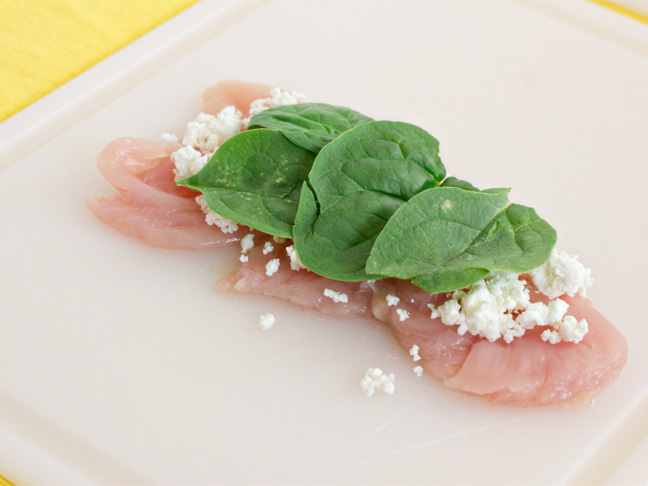 Layer spinach on top of the goat cheese. 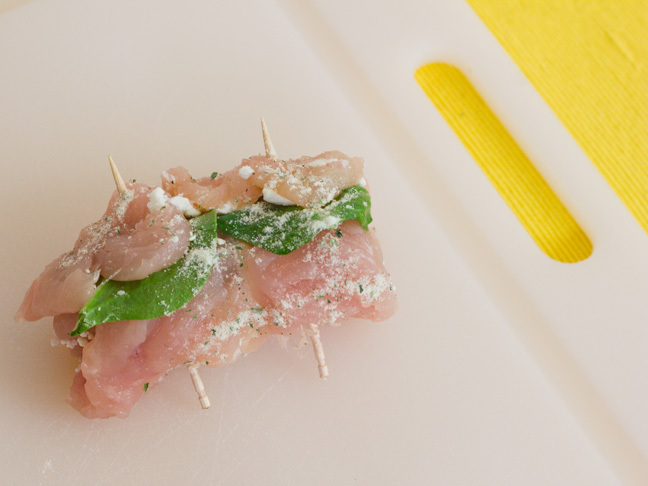 Step 6: Gently roll the chicken so that the goat cheese and spinach layer remains inside. Secure the roll with toothpicks. Repeat steps 2-6 with additional chicken tenders until all rolls are completed. 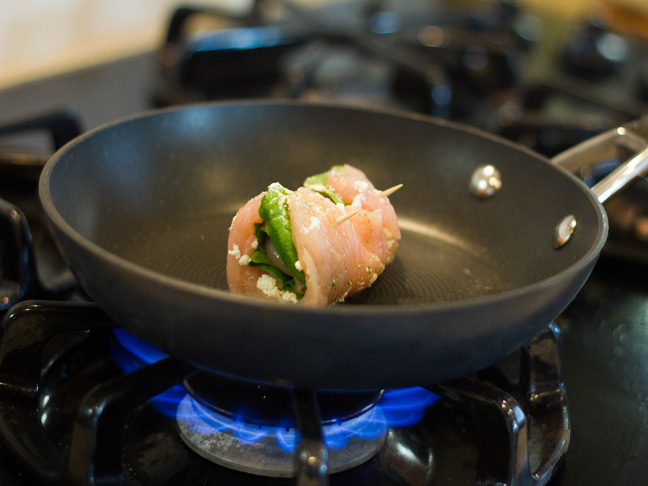 Step 7: Add 1 tablespoon of oil to a pan on medium-high heat, and brown the chicken rolls on all sides over 1-2 minutes. Then place them in the oven for 10-12 minutes. Remove the toothpicks before serving.